We talked to Unlawful Assembly Brewing Co. Head Brewmaster, Tom Janik, about what’s new in the brewery and what’s trending in the beer world. Here’s the scoop (spoiler alert): it’s still all about the hops. 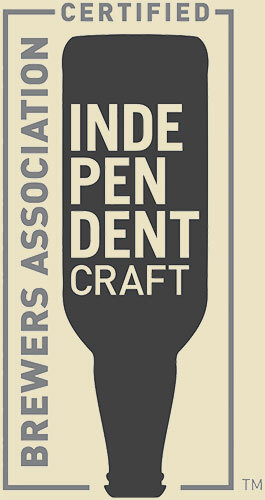 According to Tom, hop forward beers are the leading product in the craft beer market. For a while now, hazy IPAs have been all the rage in the beer community, but generally hazy beers tend to hide the bitterness you can get from hops. Brut IPAs on the other hand, are all about that hop aroma and have the potential to be the next big trend. Which is why Unlawful Assembly is working on test batches of a brut IPA this week. Bruts are different from a hazy IPA because there’s no worry about keeping the yeast in suspension and therefore it has a longer shelf life. Something that makes a brewer's life a lot easier. Hazy IPAs are… well they’re hazy! They’re a cloudy beer because of the unfiltered yeasts. It gives them their murky quality. Bruts have a much clearer appearance. Bruts use an enzyme that breaks down what would usually be the non-fermentable sugars, giving the beer a clean but very dry finish. 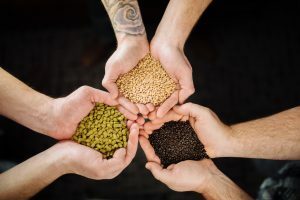 Because Brut IPAs are generally as close to a champagne that an IPA can get, many breweries use a champagne yeast, however, Unlawful is using ale yeast grains, to give the beer a bolder flavor. The hops are added at the end of the boil and then they dry up a bit which is what give the beer it’s very dry characteristic. As mentioned, we’re initially in the test batch phase -- but we promise to keep you updated as we think our brut IPA will definitely make a bold entrance.